Hope everyone is doing well. I will make my September address a bit shorter than my August one. Or try to at least. The UCIP Census is completed and included as a PDF attachment. I will say I was surprised by it. Greatly so. Our member numbers are bit higher than I expected but that also means there are several members who don’t participate much in UCIP beyond their own simulation(s). Not a bad thing, just interesting. I also found it interesting that most simulations had multi simmer numbers below 50% and that no simulation had numbers exceeding 60%. The Census will give us a means to measure our status a year from now. Whether the organization has grown or declined. I have also included the new promotion guidelines that will formally take effect tomorrow. These were sent to the Captain’s list at the start of August and we received input from many of the COs and discussed the changes with Academy. Everyone was onboard with the changes and feel that it will make it easier for new members who have simming experience to fill needed roles on simulations. I am also finalizing advertising deals with a Star Trek social media website and a Star Trek fan site. I will announce more about that in my next letter once the deals are finished. I am handling this directly since I am funding the campaigns. Going forward I have decided to hold off on the timeline since a lot needs to be changed. Overall I have completed a new temporary website that will last us through the end of the year while I casually work on the new main site. I plan on some major advertising campaigns over the next few months- but only when I feel everything is polished and ready. I’m still waiting on some things from marketing for the website and need to go over some things with the COs before then. One of the things I want to create is an automated welcome message to UCIP for new members and a UCIP landing page. 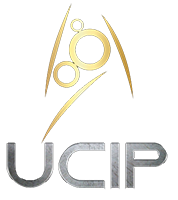 This page will have information about UCIP, our conduct policy, other policies, and information about services such as Academy. One of the reasons for this is that a few COs are a bit slow (talking weeks…) to welcome new members- this way the new members will instantly receive a welcome message (but from the org) and if the CO doesn’t contact them in a timely manner they know where they can find another game that might be more welcoming. Losing potential members because COs don’t pay attention is a huge peeve of mine and it’s not something that I’m going to allow going forward. Not when I am paying for ORG advertising. This is something I will be working with Donald to implement in the coming months when the landing page is finished. Also, I have decided not to call for APPS for the position of CFO. Instead I have broached a well-respected former member who is great writer. They have given me a tentative yes and I will announce their appointment once they feel certain they can commit to the role. I know they will be able to participate with anyone in the organization without prejudice or bias. Finally, I was recently broached by a member who mentioned that a few members may be discontent with the pace of change. I wanted to address this publically. UCIP exists for fun. I’m not going to rush things or take on more than I can chew- something I am honestly on the borderline of doing right now. I have a set schedule (the timeline) and will work to make sure everything falls within a set period. Some of our accomplishments have come sooner than anticipated (a new, even if temporary website, promotion guidelines). This means other things will have to come later. I will not rush things- nor will I promise anything I will not be able to accomplish. That being said any member is welcome to send a message to president[at]ucip.org with comments, thoughts, suggestions, complaints, or even encouragements if you like what you are seeing. My door is always open. This concludes my September message.